The full name of Alastair Cook is Alastair Nathan Cook who was born in the year 25th December 1984 at Gloucester, Gloucestershire, England. Cook was the current ODI captain of England. Cook is a left handed opening batsman for England. Alastair cook was awarded Test Cricketer of the Year 2011. Cook came to the England team by replacing Trescothic. Cook made his test debut in the year 2006 March 1 against India and His one day debut was against Sri Lanka in the year 2006 June 28. Cook is the youngest player in England to score 1500 runs. Cook has got 4 Man of the match awards in test cricket and 3 Man of the match awards in ODI cricket. Cook has scored 19 centuries in test cricket and 2 centuries in ODI cricket. Cook made his T20 debut in the year 2007 June 28 against West Indies. 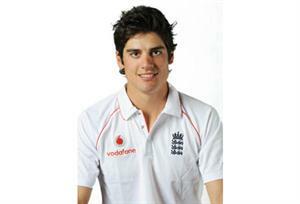 More details about the profile and career records of Alastair Cook are given in this article.